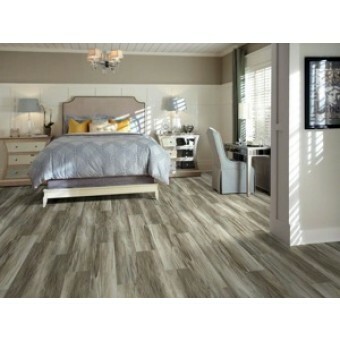 Champion resilient plank has a pressed-edge bevel that gives it a more realistic wood plank look. It also has a robust 12-mil wear layer, so it can be used for light commercial as well as residential applications. Images range from rustic to refined to contemporary—combining with impressive colors to make Champion an ideal choice for a wide variety of spaces and decorating styles.